Whether you work from home or in an office, a sedentary lifestyle is not ideal. Well, today we’ve got a detailed breakdown of adjustable standing desks, one easy way to fight back against the dangers of spending all day sitting. 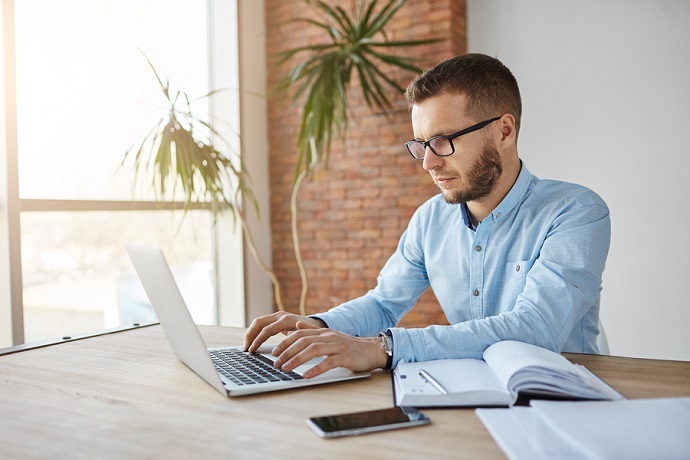 Whether you want to burn some calories without hitting the gym, improve your posture or simply become more productive, this new approach to deskwork continues to gain currency. We rigorously tested 25 of the very best standing desks to bring you the most comprehensive look at these nifty devices you’ll find. We’ve also got some handy hints on finding the best model for your needs and we’ll show you exactly why it makes sense to invest in a standing desk. Our best adjustable standing desk overall, considering a range of factors from price through versatility, is this outstanding Seville Classics electric model. Make no mistake, this is not exactly budget-friendly, but if you’ve got deep pockets and refined tastes, it might just be the best investment you make for your home office. The three-section legs give you more scope for height adjustment than the two-section norm so however tall you are, you should easily find a comfortable position. Adjustment itself couldn’t be much simpler with a motorized mechanism doing the hard work for you and a crisp LED display showing you at a glance what height you’re at. 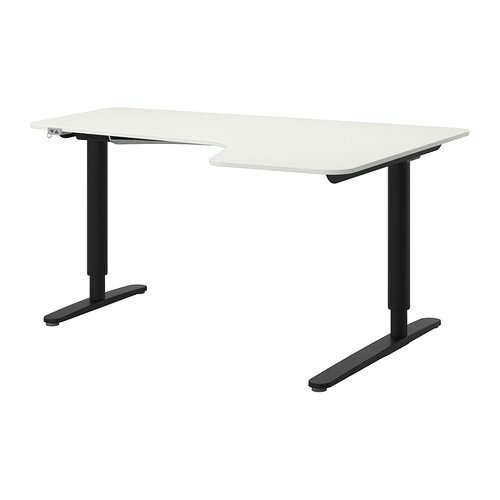 This desk maxes out at just over 51 inches high which should be more than enough for most needs. For ease of use, convenience and complete freedom, the Seville Classics is a true classic and sure to continue selling out so act quickly or you might miss out! 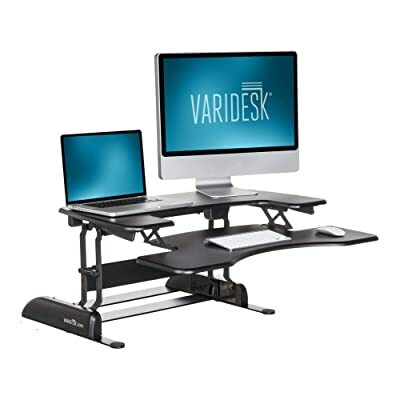 Next up is a much more affordable standing desk from VARIDESK giving you plenty of real estate for your electronics and paperwork while allowing you to remain standing rather than slumped. The double-tiered design gives you space to segregate your monitor, tower and keyboard with ample room left on the surface for those all-important papers. You’ll get the standard 11 height settings which you can manipulate using a nifty spring-loaded mechanism so you won’t end up straining yourself. Weight capacity is just 35 pounds so you need to closely consider how you’ll be using this desk. At 36 inches across, you’ll be able to slot 2 monitors on, ideal if you’re programming or trading and need multiple screens. From the rowing lift to the posture curve, you’ll get the positioning you need at a price you’ll love with the VARIDESK so what are you waiting for? Next up is another mid-priced standing desk, the Elite Series from ApexDesk and available in a full 10 commanding colors to suit any office or workspace. While the laminate finish looks great, it’s also highly scratch-resistant and built to stay the distance. The work surface itself is thoughtfully designed and angled to work perfectly while you’re stood up beavering away at that urgent project. 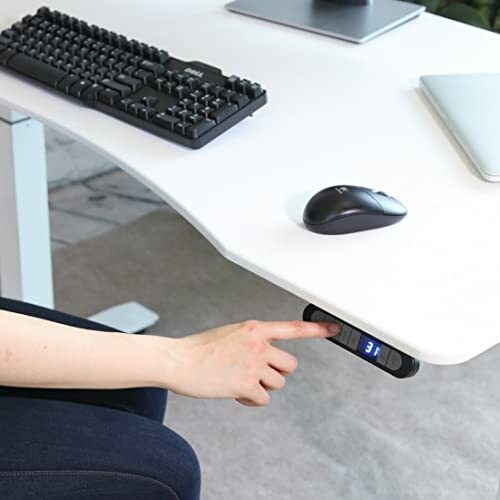 The memory height controller moves the desk at 1.3 inches per second and you can extend it up to 48 inches at the highest point so it’s tailor-made for the vast bulk of users. For a combination of looks, performance, lifespan and overall value, this standing desk came in at a worthy third place in our bumper test. As the name makes abundantly clear, Stand-Up Desk Store are specialists in this emerging field of office furniture. It’s no accident we feature several of their desks today since they bring all this expertise to bear without charging the earth. This is our standout winner for best budget standing desk. As long as you avoid the bamboo finish which has generated some bad press, the other striking designs manage to roll looks and lifespan into one attractive package. Build quality is exceptional considering the price-point, too. While this model needs to be adjusted manually with a crank, you can opt for an electric variant if you dig a bit deeper and want an even more streamlined experience. 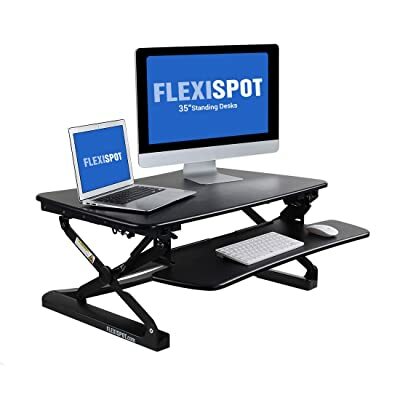 If you’re looking for an expansive standing desk optimized for laptop usage, the FlexiSpot M2B is the obvious solution. 35 inches wide and two-tiered, you can keep your keyboard out of sight then spring it back into action when you need it. Height adjustment is robust with fully 12 settings giving you total flexibility at in budget territory. The completely flat surface is just the job for a monitor, tower, laptop or lamp. Choose from a subtle walnut or classic black finish and expect a highly durable desk that won’t let you down in a matter of months. If you’re a health-conscious remote worker spending most of your time in front of a screen, this standing desk might be the smartest investment you make. Next up is another punchy stand-up desk from Stand-Up Desk Store and one just the ticket if your work calls for a pair of monitors. Measuring 60 inches across, you can adjust the upper tier from 33 ½ through 47 ¼ inches while the lower surface moves from 29 inches up to 43 inches at the upper end of the range. We’d strongly advise you make sure you have enough room in your home office since this desk really does occupy a heavy footprint. If size is of the essence, though, and you have the space, you’ll struggle to find a better desk for multi-monitor use. The crank mechanism is smooth and height adjustment more than fit for purpose. The only qualification is that you might struggle to sit comfortably even at the lowest setting so think carefully about intended usage before committing to purchase. For fans of fully electric standing desks, the VARIDESK gives you impeccable performance but you will need to pay for the privilege. The only real niggle we have to report with this model is the fact customer support is pretty underwhelming if you run into any snags. The great news is, that shouldn’t happen anyway! 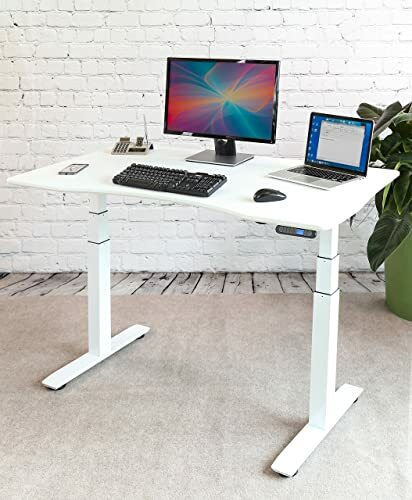 Many standing desk aficionados insist on electric adjustment and VARIDESK keep it simply with a trio of presets giving you plenty of scope for height with no effort required on your part. Conserve your energy for spending your work session on your feet instead. The 60-incher is a smart choice if you have a sprawling office but if space is too tight to mention, scale things down to the 48-inch desk and shave off a few bucks into the bargain. 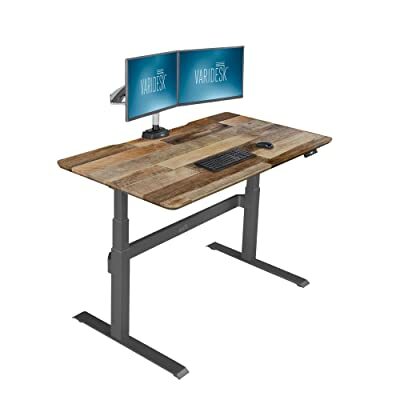 With rugged steel and laminate construction, you’ll get a super-stable desk giving you the confidence to load it up with your precious electrics and without any tedious rocking that blights the standing desk experience. Our upgrade pick is a standout winner if you’ve got a fluid budget and exacting tastes. Rounding out our categorized standing desk reviews, we’ve got a ruthlessly expensive Ikea corner desk if the bottom line is not your primary driver. Aside from that eye-watering price tag, we’ve got nothing bad to say about this modern classic. Whether you’ve got a bohemian loft or a classic living room, this subtle white standing desk slots in neatly just about anywhere. Height adjustment runs from 22 inches through 48 inches and is ultra-stable even when you’re busy painting or frantically moving things around on the expansive surface. With a maximum load capacity of 154 pounds, you can pile on the electronics without worrying about your standing desk collapsing. While this model is by no means cheap, the best things in life seldom are so why not treat yourself this year and upgrade your home office the right way? 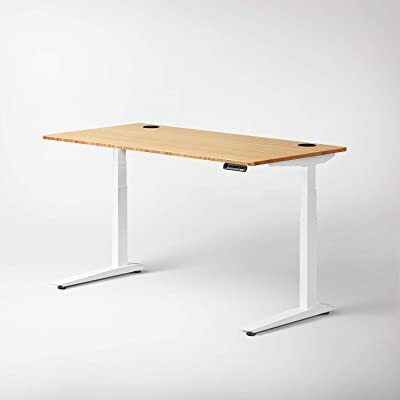 As we move into the body of our standing desks reviews, we’ve got another excellent model from Stand-Up Desk Store’s wide range. Two-tier desks are a great way to maximize display area and storage without eating up too much precious interior real estate. You’ll even get a couple of monitors on the desk with room to spare with the larger version measuring fully 60 inches across. The motor will raise the desk up to a maximum of 50 ½ inches making it ideal even for taller users. It lowers down to just 26 inches and the only negative here is that the mechanism of rather too noisy for our liking. You’ll notice a disturbingly loud sound at times when you’re raising and lowering the desk but don’t be alarmed! Next up in our look at adjustable standing desks, we’ve got something rather different with this riser desk. Unlike the full frames we’ve highlighted up to this point, riser models slot onto your existing desktop so if you have a favorite already in place and you’re reluctant to get rid of it, you don’t need to! Despite the direct claims about stability made by the manufacturer, this is one area where the Fancier Studio falls down. As usual, we’re here to explode the marketing hype and we’d advise caution if you have lots of heavy equipment and you are carrying out work demanding the utmost precision. This minor issue aside – and for light, casual users, it’s a non-issue anyway – we can’t recommend this budget-friendly riser desk highly enough. Next in line, we’ve got another converter for you with the X-Elite from Stand Steady. 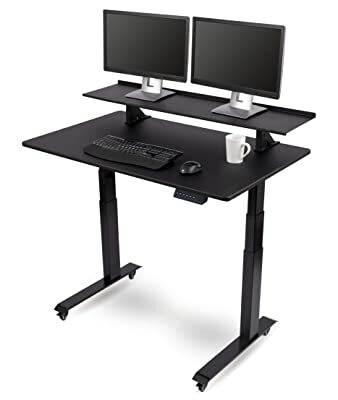 On the downside, you can only pile on 20 pounds of gear and you won’t be able to get too much height with a maximum of 16 inches in play but this is still is a solid contender if you want to mix up your deskwork. The beauty of this model is the way you can switch from sitting to standing with absolute ease thanks to the potent air pump. Compact enough to slot into a cramped cubicle or a small home office, you’ll still get ample space on the broad surface for all your necessities up to that relatively low maximum weight capacity. 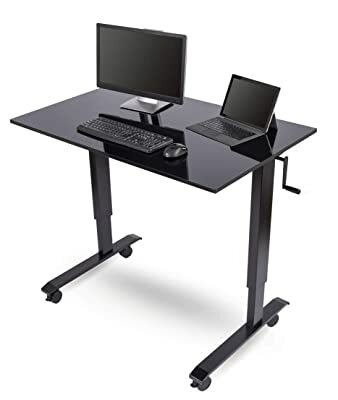 While this is a flawed gem, it’s still worth further investigation if you’re not fully committed to the idea of a standing desk but you’d like the option to stand comfortably in between sessions sat down. 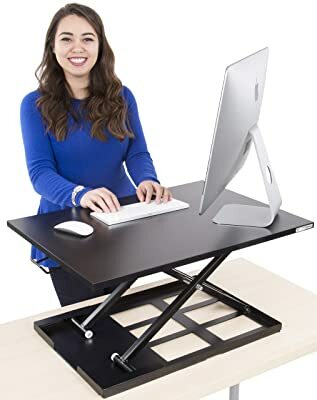 This is a great starter desk if you’re not really sold on the benefits of standing desks but prepared to give one a try. Hitting both European and North American standards of ergonomics, you’ll get a desk that’s great for your posture and overall health without damaging your bank balance. Height is adjustable through 20 inches so whether you’re short, tall or somewhere in between, finding the optimum position is a cinch. Not quite so straightforward is the clunky lifting mechanism so if you want a more seamless experience, we’d advise giving this desk a miss. 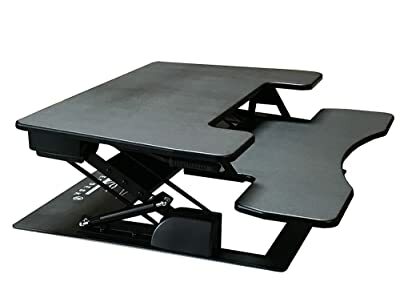 There are 4 leveling glides in place making this a wise choice if you need to place your desk on less than even flooring. Stability is first rate even under more adverse conditions. As we forge on through our standing desk reviews, we’ve got another convertible model, again from the stellar Stand-Up Desk Store. One disclaimer we’d make straight off the bat is that this desk is rather prone to being moved around so if you’ve got kids in the house and lots of expensive electrics on your desk, you might want to think twice. Although 6 height settings is less than perfect, you should still be able to find a comfy enough position unless you’re especially tall or short. Some basic assembly is required but you’ll be done in minutes with just 8 screws needed to piece everything together. 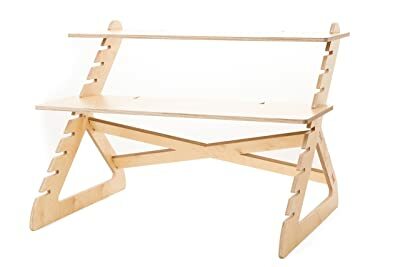 If you want enough space for all your computer gear and plenty of paperwork in a model that looks much more like a regular desk than much of the competition, this is an absolute must. 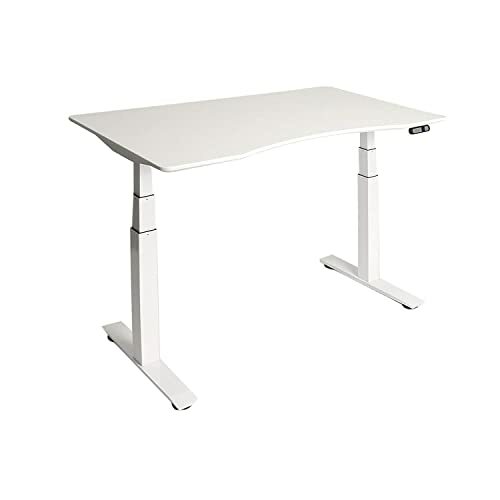 We’ve got another budget standing desk up next, the Tranzendesk from Stand Steady coming in at a hyper-keen price point without compromising quality. Once you get past the less than transparent instructions, you should be up and running without too much hassle or assembly required. Standing fully 55 inches high with a supplementary shelf at 48 inches, this is a super-sized model so avoid the Tranzendesk if you’ve got a cramped home office. If, on the other hand, you’ve got the space to accommodate, you’re in safe hands at a highly attractive price. 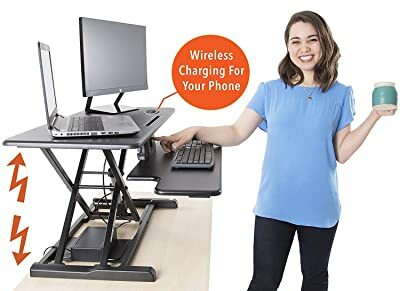 With a no-nonsense guarantee in place, this is the next best thing to try before you buy and means you can buy without the headache of wondering whether a standing desk will work out for you. If you want a robust standing desk solution that even offers wireless charging for the devices doubtless flying around your office, look no further than the Flexpro Hero Power. There’s a pod built-in allowing you to give your phone and tablet a boost without catching your coffee on trailing wires. This is a small but highly appreciated touch. With two levels, you can pop a monitor or laptop above and your keyboard down below with plenty of wiggle room for your filing that’s crying out to be organized. The model we chose – there are 3 variants available – comes with an electric adjustment mechanism taking all the sting out of fine-tuning. The only serious drawback is a maximum height of 19 ½ inches which is pretty poor really but in all other respects this standing desk punches dramatically above its weight. As we get somewhere close to the end of our standing desk reviews, we’ve got a manually adjustable model from Luxor that takes incredibly little effort to tweak through an impressive selection of height settings even though there are no electrics to help you. Choose from the more modest 48-inch desk we tested or go large with the fuller 60-inch model which obviously costs a little more. Weight capacity is first rate while the surface gives you a great deal of room for all your office gear and paperwork, too. 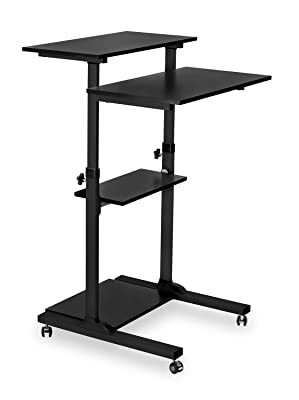 Although list price is pretty high, if you act swiftly, you can pick up this standing desk at an aggressive discount so we’d recommend making a move if it looks like the right fit for your office. 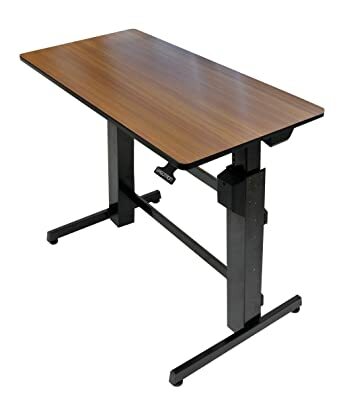 A real bargain up next with this adjustable add-on that will slot neatly on top of your existing desk saving you from the expense of buying a new frame while ramping up functionality a treat. The Readydesk 2 has been showcased on Business Insider and Lifehacker as one of the leading lights in ergonomic desk design. If you’re tired of sitting and slumping, give your spine and posture a break with this outstanding and cost-effective solution. While this is a design-driven desk, it’s far from a case of form over function. Adjustment is super-simple and you’ll be able to angle the desk to the precise position you need to make your life easier even if you’re standing rather than sitting. For a more natural finish than some of the utilitarian standing desks we’ve reviewed so far, the Jarvis is available in 4 colorways and 5 configurations so there really is something for everyone. We plumped for the hulking 60-inch rectangular model and we certainly weren’t disappointed. Shape-wise, you can roll with a rectangular or contoured design and the 4 color schemes mean you should have no difficulty finding something to match your office décor. The motorized adjustment mechanism operates at 1 ½ inches per second meaning there’s no tedious down time. There’s a handy digital display showing the 4 presets at your disposal so you can see what’s what at a glance. While not the fanciest of standing desks, this unit does its job to a high standard and that, really, is all anyone can ask for. 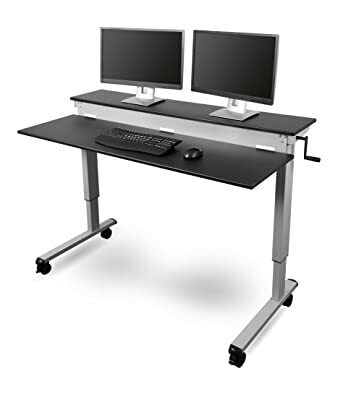 More and more of us are using a pair of monitors now and you can house them with ease on this massive standing desk from DEVAISE that also comes in very keenly priced. Load-bearing at 100 pounds means you won’t be worried about your gear taking a tumble, either. The height can be tweaked from 29 ½ inches right on up to 45 ½ inches and the crank, while described as “smooth” by the manufacturer, could certainly be improved. On the plus side, the crank itself can be easily folded to keep things looking uncluttered when it’s not in use. If you need space for plenty of equipment without leaving you inadequate room for maneuver and you want to achieve this without taking out a bank loan, we urge you to road test the DEVAISE at your earliest opportunity. 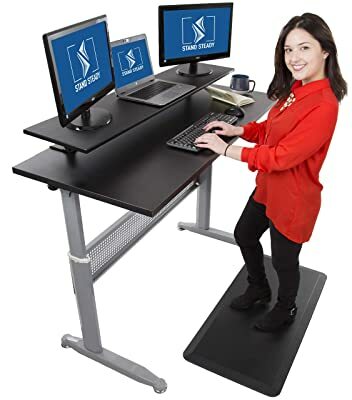 Next in line, we’ve got an inexpensive and medium-sized standing desk, once again from Stand-Up Desk Store, a brand exerting something of a stranglehold on this glutted market. 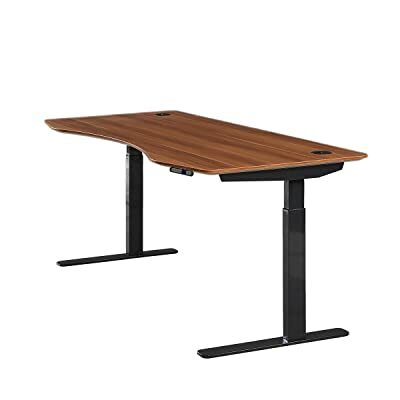 While this is not the biggest standing desk up fort grabs and the 25-pound weight capacity is lacking, you’ll get a nice working surface and the way in which you can position your monitor gives you the latitude to create a working environment perfect for your posture. Transportation is a breeze with the lockable casters saving you from straining yourself. This might not be the flashiest or most complicated standing desk, but not everyone wants that so if simplicity is uppermost on your priorities, check out this model right away! Coming in cherry and white or black and silver, the way in which the colors work together gives this standing desk an edge over much of the more boring competition. The work surface gives you a lot of elbow room at 37 ½ x 20 ½ inches. Adjustment couldn’t be much easier with a rudimentary but highly effective lever removing any headaches about electrics malfunctioning. Sometimes less is more with furniture and this stripped-down standing desk proves that point. Alongside a nice degree of flexibility and impressive height adjustment, build quality is such that you won’t be looking for a replacement in a hurry. 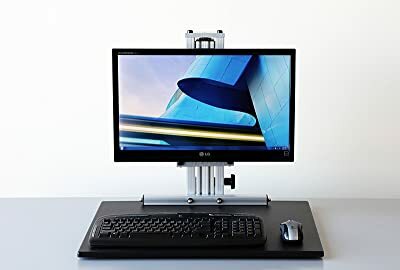 As we edge to the end of our adjustable standing desk reviews, we’ve got a great set-up including a monitor mount, something that comes in very handy with standing desks. If you need 2 screens, though, this is not the right fit for you. You can hike the main work surface up 15 inches above your desk so only you know if that gives you sufficient height. The mount only works well with monitors so if you’ve got designs on popping your laptop up there, think again. There’s plenty of space on the more than generous work surface for that, though, so don’t panic! With the ability to adjust both the mount and the desk itself, you’ll get a nice level of versatility. While not cheap, we’d argue this mount/desk combo represents sterling overall value and makes a stylish addition to any home office. Our penultimate standing desk review is not actually a standing desk at all but a folding laptop stand. You can reap the benefits of standing up to work in a travel-friendly package you can easily move from hotel to coffee shop and you won’t need to spend much for the privilege either. Whether you want to slouch on the couch, ruck yourself up in bed or stand up working, imagination is your only limitation with this customizable and portable stand. You can even convert your regular desk into a standing desk making this one of the most versatile purchases you could make. 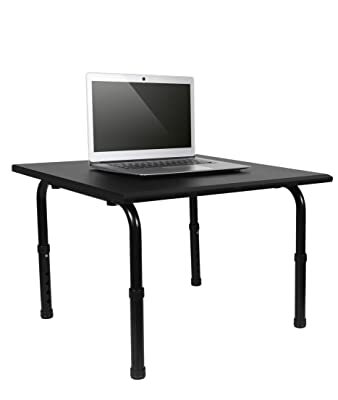 We’ll round out our adjustable standing desk reviews with another nifty laptop stand from Executive Office Solutions. It goes unsaid you won’t have the space to work a full standing desk provides but you won’t face the same stiff bill either and for small apartments with limited room, this workaround is worthy of a place on our shortlist. If you have cooling fans for your PC, this stand comes with a USB cord for powering them thrown in which is a thoughtful touch, especially at this price point. 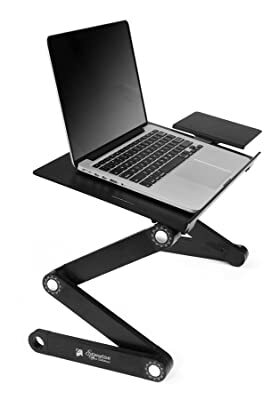 Aside from the obvious limitations of no work surface, we can’t recommend this laptop stand highly enough so we’d urge you to check it out if you want an improved working position without breaking the bank. 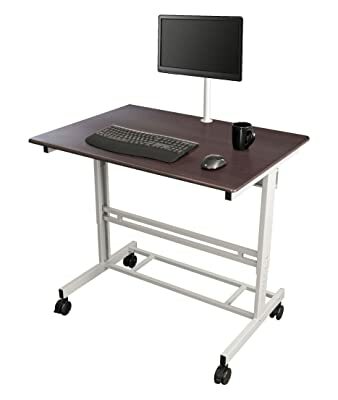 Last but by no means least in our best adjustable standing desk reviews is this flexible option from Mount-It! 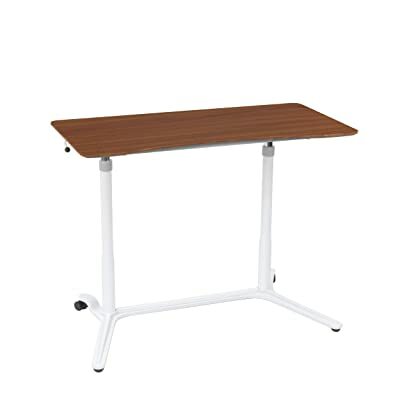 Whether you want an alternative to a regular office desk to help improve your posture or you need something to use in a lecture hall when you’re giving a presentation, this compact and mobile workstation gives you plenty of room for maneuver. And thinking of maneuvering, you’ll be able to wheel it from room to room with ease thanks to the 1/5-inch casters that lock neatly into place once you’ve repositioned the platforms. You’ll get ample space for paperwork, computer and printer set-up and you’ll even be able to stash a printer onboard so you’ve got everything you need close at hand. Height adjustment is straightforward and you can tweak this standing desk through 11 lockable settings to a maximum height of 17 inches. Load capacity of 132 pounds in total completes a hard-hitting package that deserves a place on any shortlist. Standing desks come in many shapes and sizes but how about the distinct types in this innovative but crowded vertical? Perhaps the most common and arguably the most popular type of standing desk is adjustable but requires you to physically alter the height. While on one hand needing to make this alteration manually is slightly tiresome, on the plus side, you won’t face any risk of the electrics playing up resulting in an expensive repair or, even worse, a replacement desk. 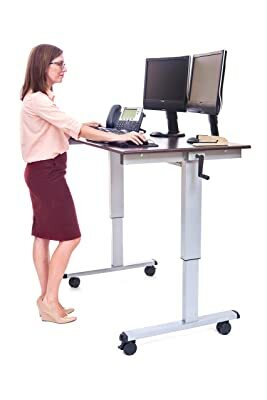 The other dramatic downer about this type of mechanical standing desk is that adjustment can in some instances be pretty taxing. We’ve made certain to point out any difficulties we experienced when fine-tuning the manual desks we reviewed so you can steer close of those with problematic adjustment. 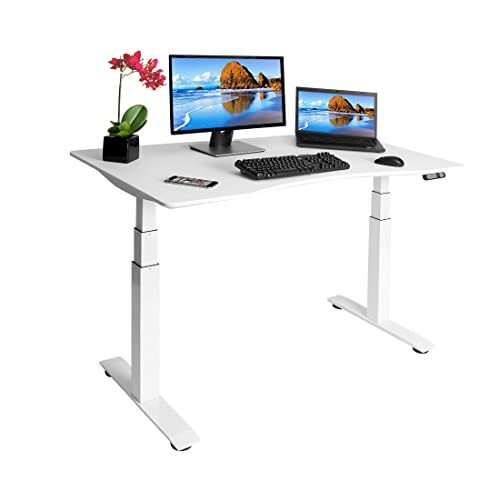 Growingly popular, these electric adjustable standing desks take all the strain out of altering the height. You’ll get preset heights and a display of some kind so you can see at a glance what height you’re at. This push-button technology obviously comes at a cost and there’s also the attendant concern about the mechanism malfunctioning but for pure ease of use, you simply can’t beat an electric adjustable standing desk. These desks usually come built in to an office and you’ll get no leeway when it comes to positioning. Whether taking the form of a countertop or a desk surface specifically designed for a dedicated space, you’ll get no flexibility but a great deal of stability with a static standing desk. By using the desk you already have in place, opting for a converter is a superb way to get the benefits of a standing desk at a very affordable price. We’ve presented several of these converters for you here today so if you have a beloved office desk you just can’t bear to part with, you don’t necessarily need to do if you roll with a converter. For anyone who’s often on the road or works from coffee shops, the seats and tables in place are often not conducive to working well. 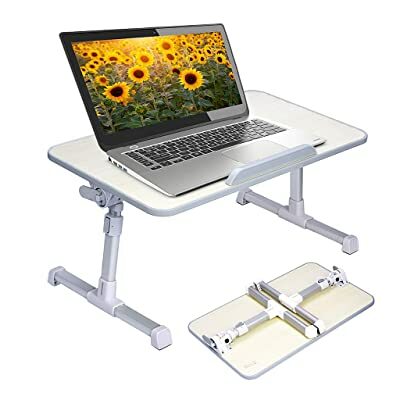 Sidestep that by investing in a laptop stand and you can get exactly the positioning you need for a fraction the cost of a standing desk along with a completely portable working solution. 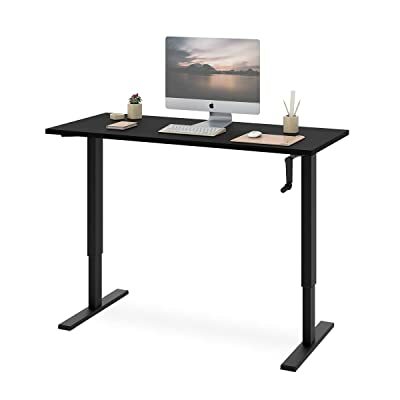 With the main types of standing desk laid out for you – and that, of course, should be your primary consideration, what else should you think about when you’re looking for the best adjustable standing desk? Durability and Lifespan: Buy cheap, buy twice. This doesn’t mean you can’t get a great budget standing desk – you can, and we reviewed some for you – but you certainly need to consider how durable a desk is and how long you expect it to last. Before we round out today, why should you consider ditching that comfy chair and standing up to work in the first place? And thinking of the gym, that’s not the only way you can burn off that sneaky chocolate bar or donut. While it might seem improbable, you can burn calories simply by altering your working position. By increasing your heart rate in a standing position, this can translate to the equivalent of burning 50 calories in the course of an hour. This is not to say using a standing desk is an alternative to a healthy lifestyle or regular exercise, but it can certainly help. With any luck, you’ve now pared down your shortlist of suitable adjustable standing desks to a few viable models. Once you’ve got that list in place, be absolutely clear about what you want from your desk and the purchasing decision itself should be child’s play. This market is flooded with substandard units which is why we’ve taken such time to separate the wheat from the chaff serving you up with only the best models up for grabs. Roll with one of the money-back guaranteed desks we reviewed. Give it a fair try and if it doesn’t work out…well, you’ve lost nothing except a bit of postage and you can call it a failed experiment. We’re confident, though, that once you convert to a standing desk, you’ll be spending very little time sitting from that point forth!